Inbound Marketing Speaker, I was telling a friend the other day that I people have started to invite me to give talks about inbound marketing and that I am looking forward to this. The other thing I found myself saying was that I would like more inbound marketing speaking opportunities. That reminded me about the advice I give to a lot of people, blog about what you want. That simple? Yes. I am a big fan of blogging about what you are looking for and writing to connect with the audience you are seeking to communicate with. That is inbound marketing. Blogs like this one rank well in search engines, by blogging about that you are looking for you enable others to find you when they are searching for whatever it is they need, in this case a “Inbound Marketing Speaker”. Where I am next speaking? Q. Do you speak only in the USA or worldwide? A. Actually I am in the UK much of the time: the USA speeches just happen to be two examples. Q. Do you charge money to speak? A. Depends – Will it be fun for me? Will I be helping people? Q. We are a small networking group – will you come to talk to us? Q. We are looking for an Inbound Marketing Speaker, how do we make contact? 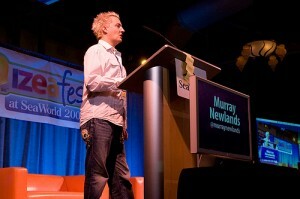 It’s great to see more qualified inbound marketing speakers out there. I’ll be speaking at the Affiliate Summit in Vegas as well. Would love to meet-up. Nice to meet you and thanks for dropping by, look forward to meeting you at Affiliate Summit in Vegas .